If you're searching for a casual yet seriously stylish ensemble, team a grey knit hoodie with olive chinos. These two pieces are totally comfortable and they also look wonderful when worn together. You could perhaps get a little creative in the shoe department and spruce up your getup with Frye Tyler Lace Up Lace Up Boots. 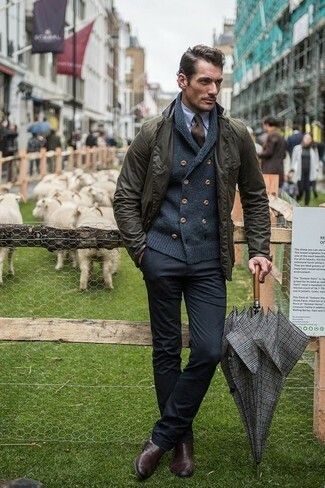 If you're looking for a casual yet dapper ensemble, wear an olive field jacket and black chinos. These two garments are super comfy and look wonderful paired together. Smarten up your ensemble with Frye Tyler Lace Up Lace Up Boots from Zappos. So as you can see, being a dapper dude doesn't take that much time. 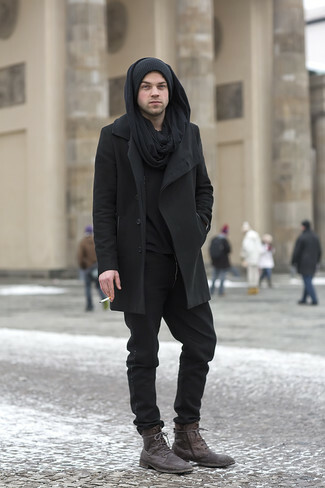 Just consider teaming a black overcoat with black chinos and you'll look incredibly stylish. 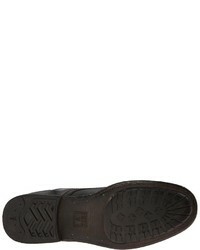 When it comes to footwear, this getup is complemented nicely with Frye dark brown leather boots. 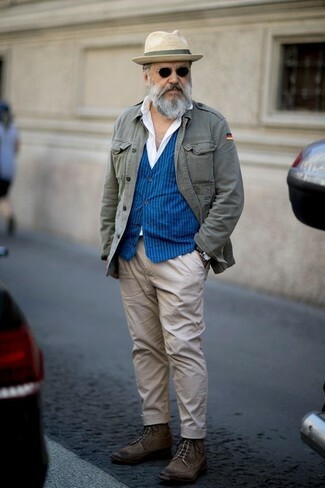 If you're hunting for a casual yet seriously stylish outfit, dress in a grey military jacket and beige chinos. As well as totally comfy, both of these items look wonderful when worn together. When it comes to footwear, this ensemble is round off wonderfully with Frye Tyler Lace Up Lace Up Boots. For a smart casual outfit, consider wearing a grey wool blazer and charcoal chinos — these two items the workplace really smart together. 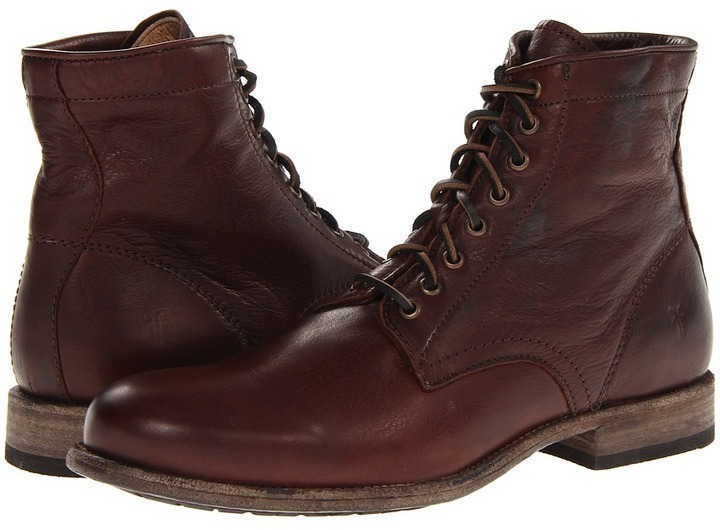 Round off this getup with Frye dark brown leather boots. This combination of a camel overcoat and white chinos is super easy to put together in next to no time, helping you look sharp and ready for anything without spending a ton of time digging through your closet. 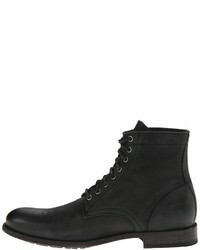 Complete your getup with Frye Tyler Lace Up Lace Up Boots. 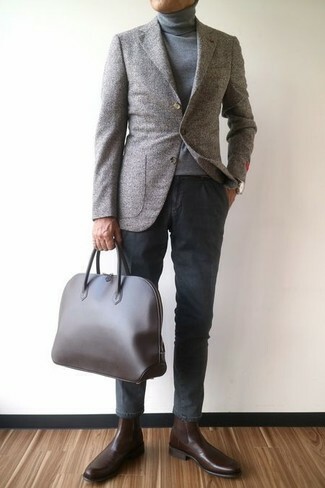 For a casually elegant getup, marry a grey wool blazer with khaki chinos — these pieces the place of work really well together. 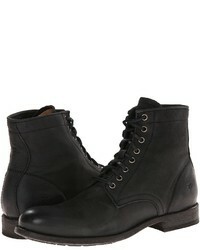 When it comes to footwear, this getup is round off nicely with Frye Tyler Lace Up Lace Up Boots. Pair a dark brown plaid blazer with charcoal wool dress pants for incredibly stylish attire. For something more on the daring side to round off this outfit, go for a pair of Frye dark brown leather boots. Contrary to what you might believe, outfiting stylish doesn't take that much time. 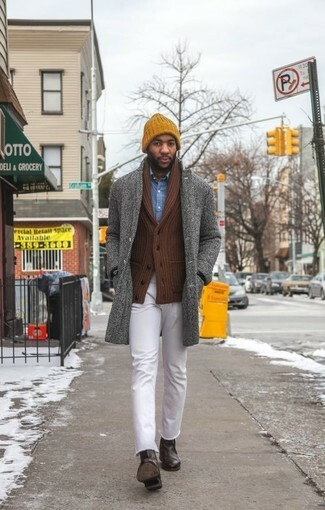 Just try teaming a grey herringbone overcoat with white jeans and you'll look incredibly stylish. Frye Tyler Lace Up Lace Up Boots work wonderfully well here.